I watched a couple of videos today on Mumbrella, with Telstra’s marketing and creative people talking about why Telstra needed to rebrand. I can understand why it was time for it to happen, but what I don’t understand is why the messaging about the rebranding needs to be so negative. In the first video, both Inese Kingsmill, Telstra’s corporate marketing director and Mark Collis, Telstra’s director of creativity and brand content refer to the old brand as ‘schizophrenic’ – which I find really odd when the Telstra brand has been so iconic since it was created when the company was renamed from Telecom Australia as part of its privatisation back in 1993. I’m not arguing that the rebranding shouldn’t have happened – I believe that a brand should evolve with the times and its relevance to its stakeholders – but what I don’t understand is why people fall so easily into criticising what came before as a way of justifying the decision to change. If anything, the messaging should be one of celebration – the fact that Telstra has the opportunity to build on what has been such a powerful brand, particularly in the Australian market. 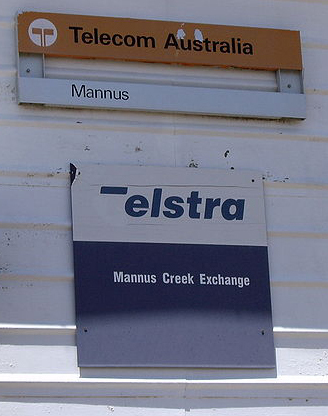 That way, you not only have the opportunity to talk about the success of the ‘old’ brand, but also to speak more directly as to why the rebrand was necessary as part of Telstra’s future. That relates to concepts including relevance to customers, engagement with employees, diversity of service offerings, alignment with corporate positioning, etc. The danger in immediately criticising the previous brand as a way of ‘talking up’ the new one has the potential to undo a lot of the brand equity and value that a company has built up under the old branding, and therefore diminish the added value the new brand will bring.